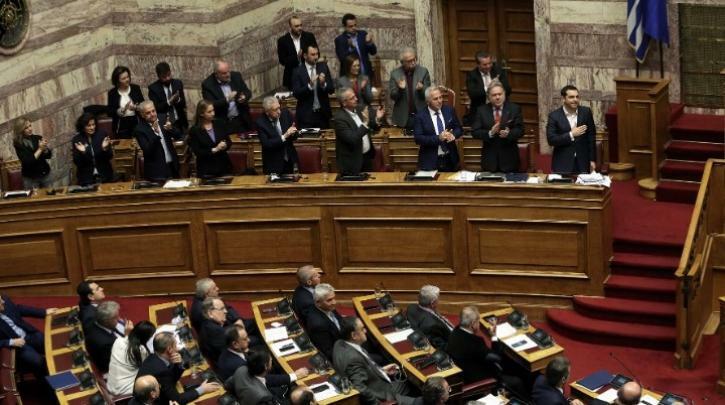 With 153 “YES” (out of 300) ratified the Greek Parliament the Prespes Agreement after a three-day marathon process with tensions and a strong confrontation between the government and the opposition. “Today we are writing a new page on the Balkans. The hatred of nationalism, the disputes and conflicts give way to friendship, peace and cooperation. The next generations in both countries will be grateful to the MPs who, with courage and boldness , laid the foundations for a future of peace, solidarity and harmonious coexistence between the two peoples”, said the Greek PM said after the ratification of the agreement and added: “Northern Macedonia that is born today will be a friend country. An ally and supporter of Greece in its efforts for security, stability and co-development in the region”. Mitsotakis spoke of an opportunistic majority and a “detrimental agreement” and proposes a “veto” in the accession of North Macedonia to the EU. “The government, with an overwhelming majority, voted for the damaging Prespes Agreement”, Kyriakos Mitsotakis said. The leader of New Democracy stressed that hte ratification of the Agreement means “the official recognition of Macedonian language and identity for the inhabitants of Skopje for the first time by a Greek government”, denouncing the Tsipras government for having abandoned a decade-old national line. “Mr. Tsipras said yes where all his predecessors had said no”, Mitsotakis pointed out, while reiterated what he said from the parliament’s step that he would not give up on Greece’s right “to veto Skopje’s accession to the European Union”.